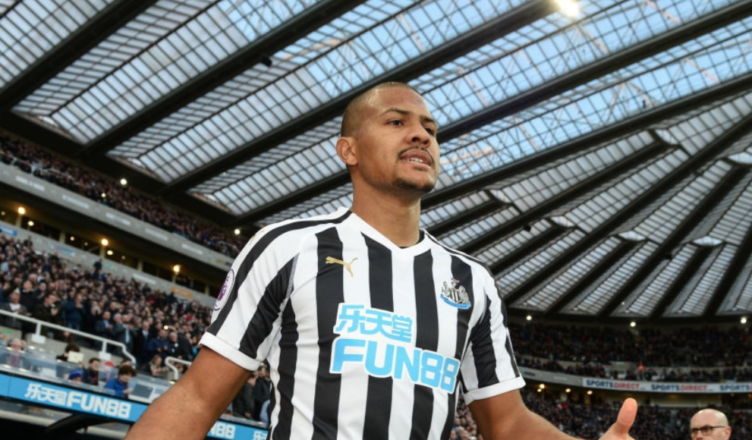 ‘Exclusive’ Salomon Rondon interview reveals what he’s now told his agent, West Brom & NUFC – NUFC blog – Newcastle United blog – NUFC Fixtures, News and Forum. Speaking exclusively to the Chronicle, Salomon Rondon confirms that he’s told the club, his family and his agent that he is determined to become a Newcastle United player this summer and stay for ‘many years’. That said, he also accepts that the current deal is only a loan, stating below that he may have to say ‘thank you’, ‘goodbye’ and wish us all the best for the future – a situation which would be tough to take given how good he’s been this season. “They know what I want and what my family want. “I have spoken with them and made it clear. If there is an opportunity for me to be here – I’ll stay here 100%. “It’s a pleasure to be here and my family are settled and happy to be here. “I play with the number 9 on my back and it’s a pleasure for me. “After that we will see what happens. “I am still on loan but if I get to stay here then I’ll be at a beautiful place. “I love being here. I am settled here. “I will be trying to score more goals and then we will see what happens in the future. “If I could stay many years here I’d love to. It really would be a hammer blow to see him return to West Brom and join another club this summer – not only for our team but for Benitez, who’s clearly keen to keep him. “I was focused on games in December and January as there were many, many games. The big worry in all of this, as ever, is Mike Ashley – a man who was clearly very reluctant to sign a player of Rondon’s age on a permanent deal last summer. We’re now a year on, and with Rondon turning 30 later this year and reports suggesting that West Brom will demand £16m this summer, Ashley will have to change his transfer stance if we’re to see this one go through. For the sake of our team, Rondon himself and Rafa’s future, let’s hope we get this one done! Please,Please fatman you go and leave Rondon with us. Ashley making £350 m demand for price of club if we stay up. He hasn’t factored in what it’s worth if Rafa walks tho, has he? Knock £100m off of that! !